What’s the Difference Between Prebiotics and Probiotics? Many people are confused by the words “prebiotic” and “probiotic” and rightly so. They sound nearly the same and both have something to do with digestion. However, each has a very specific role to play in the body and each offers different benefits in terms of your health. Let’s take a closer look. Probiotics are tiny, live microorganisms. These single-celled organisms are primarily bacteria, although some are also yeasts. Probiotics are made up of strains of bacteria and yeast that scientists have studied and identified. These bacteria are usually chosen to be included in a probiotic product because they are able to survive the trip through your stomach and into your intestines. Once there, these bacteria grow and colonize your digestive system with friendly bacteria. Prebiotics aren’t live organisms—they’re actually fiber-like substances that help to encourage the growth of beneficial bacteria. Prebiotics are essentially carbohydrates that your body can’t digest but which are still useful as feeding sources for beneficial bacteria. Prebiotics help out beneficial bacteria that are already growing in your body by supplying a source of fuel and by helping to maintain these friendly bacteria populations. Why does your body need so much bacteria? Isn’t that a bad thing? You likely have in excess of 500 bacterial species in your body. Most of these are good bacteria that help to break down foods like carbohydrates so that they can be used as a source of energy. All these friendly bacteria also help your body to fight off infectious invaders and other harmful bacteria. Prebiotics make your digestive system hostile to bad bacteria. To give you a more concrete example of the different benefits ushered in by prebiotics vs. probiotics, here are the results from a recent study performed at the University of Wisconsin. There, researchers studied the effects of prebiotics and probiotics on mothers who had recently given birth. When conducting a review of 37 clinical trials, the research team found that prenatal probiotics beneficially altered immune markers in breast milk, reduced vaginal infection rates, improved glucose metabolism, and reduced the incidence of gestational diabetes. Prenatal prebiotics, on the other hand, significantly increased beneficial intestinal bacteria. No adverse events were reported and all patients seemed to tolerate both probiotics and prebiotics well. When prebiotics and probiotics are taken together, the therapy is referred to as synbiotics. It is thought that combining a probiotic with a prebiotic that specifically feeds it, helps to keep the new bacteria in the body for longer. Prebiotic fiber occurs naturally in all kinds of plant species—particularly onions, garlic, and leeks. 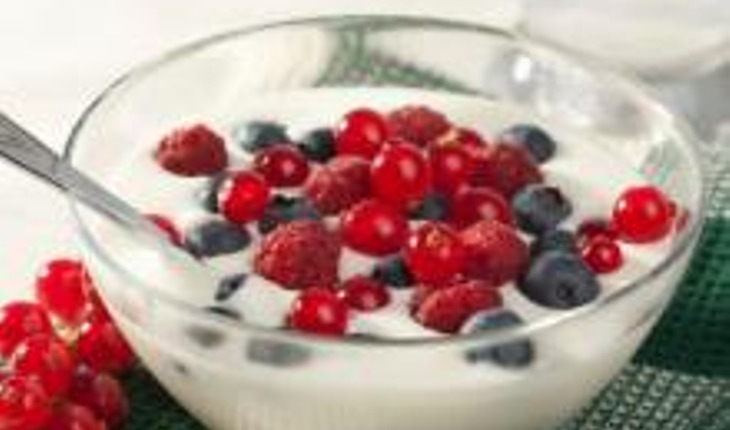 Probiotics can be found naturally in fermented foods such as yogurt or sauerkraut. One thing to note about prebiotics vs. probiotics: prebiotic fiber isn’t affected by heat, cold, or time. Probiotics, on the other hand, can be killed off by heat or the passage of time. If you buy prebiotics or probiotics in supplement form, make sure they don’t contain any added sugars or artificial fillers. This article originally appeared on Food4BetterHealth.com. Victor Marchione, MD received his Bachelor of Science Degree in 1973 and his Medical Degree from the University of Messina in 1981. He has been licensed and practicing medicine in New York and New Jersey for over 20 years. Dr. Marchione is a respected leader in the field of smoking cessation and pulmonary medicine. He has been featured onABC News and World Report, CBS Evening News and the NBC Today Show and is the editor of the popular The Food Doctornewsletter. Dr. Marchione has also served as Principal Investigator in at least a dozen clinical research projects relating to serious ailments such as bronchitis, pneumonia, asthma, and chronic obstructive pulmonary disease (COPD).